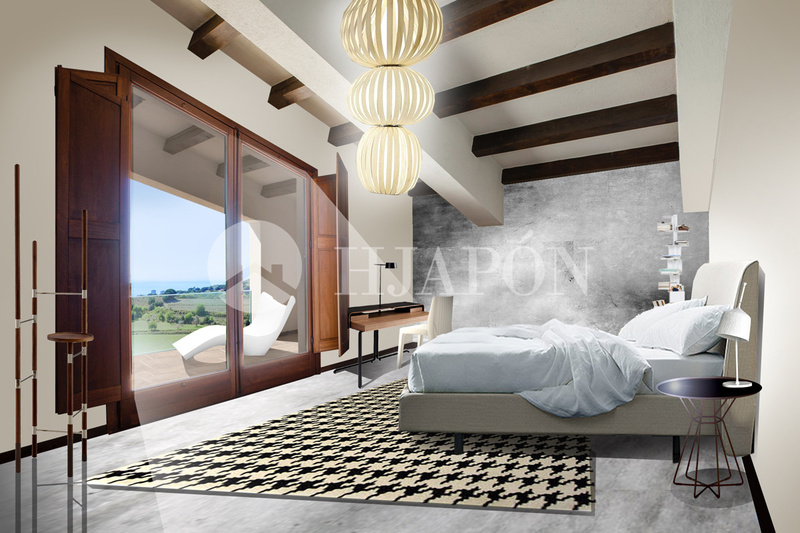 We are proudly presenting the DREAM HOME PROJECT BARCELONA that is just 15 minutes from the Paseo de Gracia. This is an incredible home that has been designed by CUBIÑÁ, an impressive firm with over 100 years of experience in Barcelona. 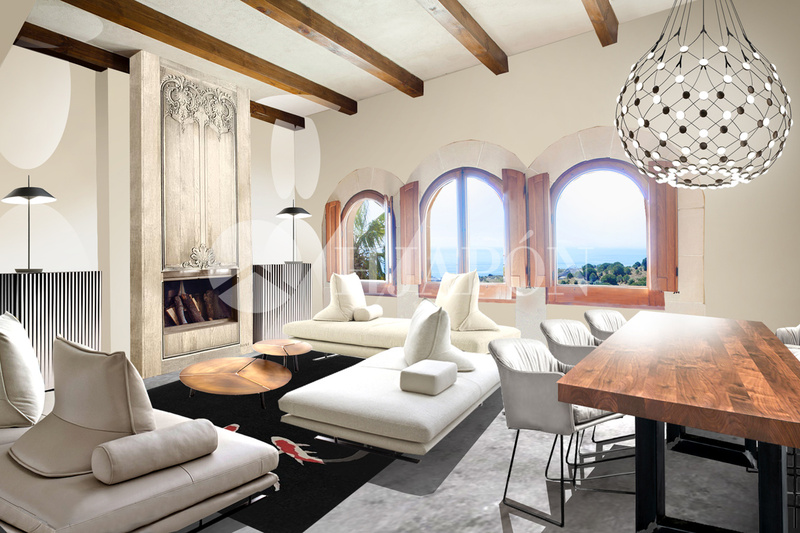 Renovating a luxury home in Barcelona without stripping away its character and charm which will always be a challenge. In this instance, we were presented with a Mediterranean-style estate that deserved careful attention to preserve its beauty and personality. 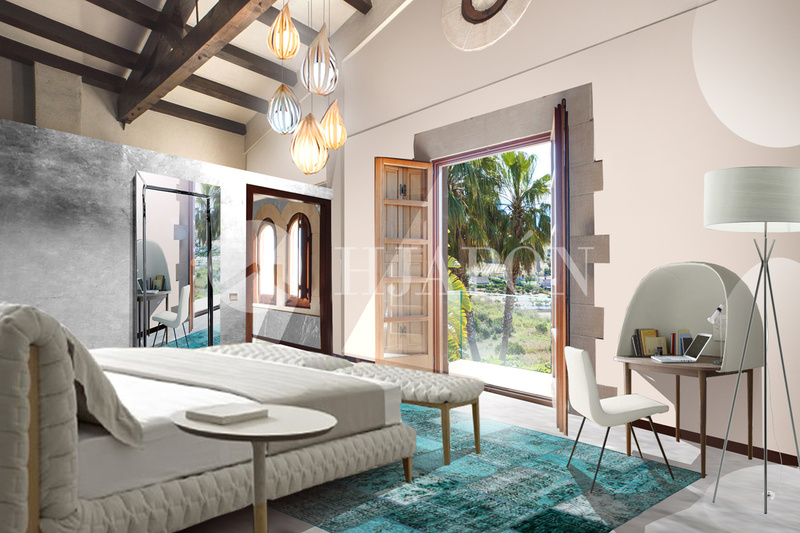 In the beautiful and gorgeous town of Alella, we wanted to improve and modernise this property without robbing it of its charm and style. For this, we wanted to retain its original structures with its exposed beams and its classic wooden enclosures, and instead chose to implement changes to the aesthetics without stripping it clean. What we mean by this is for example modernising the rustic floorings with a continuous one made of concrete that creates a sense of neutrality. Moreover we used this opportunity to improve on the heating system: from the cumbersome radiators to under-floor radial heating. We also made some tweaks in the facade so as to open onto the exteriors of the property and this was by changing the railings and walls with transparent laminated glass. We wanted to follow the same style with the terraces so as to use glass to help create the infinity pool look. Additionally, the side annex, formerly intended for the summer kitchen, has been converted into a winter garden which will allow the owners to enjoy the cooler months by chilling in the pool or organising parties on the terrace. A simple lacquered steel and glass structure also allows one to enjoy the outdoors without having to wait for the summer months. The glass covers, by allowing passage, provides ease of maintenance and avoids the creation of a barrier. The south face of the structure, formed by sliding panels, also helps to stitch the space to the rest of the terrace, and can be used as a lounge. The summer kitchen has been moved outside to further allow one to enjoy the amazing views of the vineyard and swimming pool. The pool has also been extended to the first slope towards the vineyards and is built with the glass side to further expand the view. Taking advantage of this expansion, a new dry space has been generated inside the pool to allow for one to relax by being in the water but without getting wet. This can be used for anything from meditation, to chat with friends, or simply gaze upon the Mediterranean sea that opens on the line of the horizon of the property. Additionally, the choice of outdoor furniture has been based on the care, quality and prestige of brands that are leaders in their fields such as Gandía Blasco, Vondom, Fesfoc o Désirée. “Less is more”; said Mies Van der Rohe, one of the fathers of modern architecture. This is not just a beautiful phrase; it is the phrase by which a large part of the designer world revolves around. It is by this philosophy that we have carried out this renovation to emphases elegance and beauty, and one such example is the interior colours. There is a chromatic inspiration with black and white, but with splashes of colour such as on the side table with the Fortuny lamp, (a design classic in itself) and lights over the dining room. The high-end Ploum de Ligne roset maintains this style with its classic and elegant feel, but without sacrificing on comfort which has been retained with modern materials and of high quality. The combination of the structural Element dining-room table with the classic nod brought by the Minottiittalia Louvre Moma buffet system results in the desired blend of modernity and elegance. Pure informal. This dining room is designed to be enjoyed in an intimate and casual way. Around the fireplace sits a Prado sofa from ligne Roset; versatile, mobile and organic that can be moved in any which way according to the needs of each moment. The fireplace has been muted by being covered with French-inspired trompe l’oeil paper and flanked by two straight Dorotea storage wardrobes which provide an interesting contrast and character. The Sherwood Plank solid wood dining room and KFF leather chairs give you the necessary touch of sobriety and neatness, creating an atmosphere of sensible lines without unnecessary constraints. The comfort and elegance of the Ruché de Ligne Roset series provides an evocative design to create a dreamlike atmosphere, where all the elements are in harmony, and in which all the furniture is oriented to obtain a space where there only the calm, tranquillity and relax. Smooth lines and colours combine with high-end finishes without sacrificing on modern design; this has been achieved in the alternation between curved and straight lines of the Ligne Roset bedroom furniture. Taking advantage of the high ceilings, we have innovated the look of the room by bathing it with the warm and sculptural Raindrop light suspensions arranged at different heights. Intimacy and elegance without constraints. The Desdemone bed, the Ursuline desk, the Cleo. All these elements create a serene and elegant space following with the guidelines of logic and comfort. Once again we take advantage of the height of the ceilings to allow the light to caress the wood with a Totem lamp by Luzifer, using its warmth created to also add to the evocative and serene atmosphere. 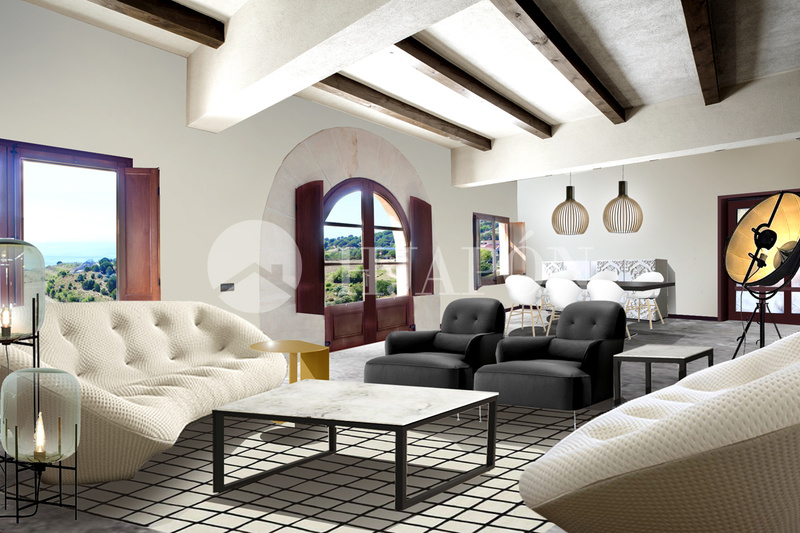 As such, this is a small change in terms of costs, but spectacular in concept, something that will certainly raise the value of this magnificent estate in Alella that is just 15 minutes from Paseo de Gracia.